It is very refreshing to be in a group where we see the world from many different perspectives. Unlike other networks where companies may sit and confirm each other, we are challenged by the perspectives from local governments, social entrepreneurs and NGOs. It infuses the debate with new life and new perspectives on the different issues. The Social Business Club is a time out from the everyday work grind, where we have the opportunity to share our ideas and thoughts in an open atmosphere. Being a Premium member of The Social Business Club has given me specific and valuable tools to develop our project and handle our business challenges. The content, methodologies and discussions have expanded my horizon and brought me new perspectives on complex problems. I am inspired by both the professional yet personal facilitation as well as the competent members in our network, who are willing to weigh in when we need help for tackling our respective business challenges. My Premium membership of The Social Business Club provides me with an inspiring and diverse network of likeminded as well as potential business partners. I experience our network sessions as very professional and social, allowing us to share experiences and to learn from each other. I enjoy the combination of networking, knowledge sharing and learning - meeting other members with very different backgrounds to discuss similar challenges and opportunities within the field of CSR. My Premium membership has given me new practical knowledge and tools, an overview of key trends and an all round understanding of the different business disciplines which are important for the integration of CSR. Want to exchange more, learn more and do better? Then why not become a Premium member of The Social Business Club, so you can become part of an exclusive network and Club Circle for CSR & sustainability professionals? As a Premium member you become part of an exclusive Club Circle with 4 annual half-day learning & networking sessions designed around themes selected by the members. Each session includes an overview of theme-related key trends & tools, an expert contribution or a member presentation of a case or challenge. With our Club Circle sessions we provide you with an exclusive, confidential and inspirational work space to share today’s knowledge, tomorrow’s visions as well as insights on the “how-to’s” of sustainable business. Here you can talk, listen, reflect and learn – so you can take informed action. For companies, organizations and entrepreneurs who deliver services and products for primarily the Scandinavian markets. Founding members: Danske Bank and LB Forsikring. 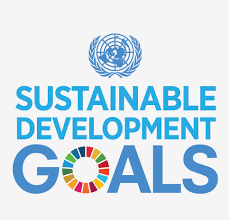 For companies, organizations and entrepreneurs working in the food or food-related industries with an international value chain in developing countries customer base, who want to work with UNs new Sustainable Development Goals as a lever for business development and innovation. Founding members: TOMS, Lantmännen Unibake and Aliva Foods. Our Club Circles are always initiated with at least two-three founding members. If you want us to host a new Club Circle around a particular theme or focus area, please feel free to contact us. WANT TO BECOME A PREMIUM MEMBER? If you are considering a Premium membership, please press the button below to fill out our non-binding application form, so we can get to know a bit more about you. When we have received your application, we will contact you for a short talk and to answer any questions you may have about becoming a Premium member. You can also contact us directly, and we will be happy to answer your questions and provide you with more detailed information on how a Premium membership may possibly add value to your specific business needs.